Nearly two weeks ago, Theresa May told her MPs “we now all need to hold our nerve” on Brexit. Within two days, her Eurosceptic backbenchers inflicted another Commons defeat to remind her just who was boss, and whose nerves were more steely. Yet despite all that, tomorrow the PM will be back in Parliament to make yet another holding statement, essentially repeating her message that the Tory party just needs to hang on for a bit longer before she gets the improved Brussels deal they all want. It feels like not so much a deliberate policy of strategic patience as a desperate, daily struggle for survival. The question this week is whether her Remainer ministers really will act to ‘stop the clock’ on the countdown to a possible no-deal exit. March 12 is probably not a product of May’s random date generator. It’s the day before Yvette Cooper’s own deadline of March 13, when the PM will be forced to give MPs the chance to either delay Brexit or back a no-deal scenario. The Cooper plan, due to be voted on this Wednesday, is winning more support (the FT reports previous abstainers Gloria de Piero and Ruth Smeeth are now behind it). Fellow signatory Sir Oliver Letwin meets ministers privately tonight to chivvy support. Will Cabinet ministers David Gauke, Greg Clark and Amber Rudd really vote for Cooper? Well, collective responsibility seems an elastic concept of late, and even Michael Gove hinted yesterday they may not be forced to quit, saying ministers were in “a different realm” since the 2016 referendum result. Will the PM herself make noises tomorrow about a possible Brexit delay? Defence minister Tobias Ellwood seemed to think she might, telling Today “the Prime Minister listening” and “You need to wait and hear what she has to say when she gets back [from Egypt]”. The ‘moderate’ Tories in the Brexit Delivery Group are set to table their own amendment requesting a delay until May 23, but without cross-party backing or lots of signatures it may not get selected by the Speaker. Its doomed anyway if it fails to win Labour’s frontbench support. The Guardian reports some in the EU want a long delay to 2021. Although May dislikes many aspects of Cooper’s bill, if it is passed you can bet she will use it to scare the European Research Group into backing her revised plan. The Telegraph has a fine leak of a secret No.10 paper that includes the option of May avoiding Cooper by pressing the pause button herself. More plausible seemed the other option of a “conditional vote” on any new draft wording to solve the Irish backstop problem. As I said last week, some think Attorney General Geoffrey Cox would make a statement as early as tomorrow, then MPs could vote for the draft and give May something concrete to return to Brussels with. As ever though, the ERG could be the roadblock. Some Brexiteers are wary after Gove yesterday subtly shifted the government’s language from a ‘legally binding’ change to a mere ‘legally powerful’ addition to the withdrawal treaty. By Wednesday, we may find out whose patience snaps first, Brexiteer backbenchers or Remainer ministers. This week, we will be getting away from Westminster to hear what northerners think about the latest state of play on Brexit. Read here about our HuffPost Listens event along the M62, taking in areas with staunch Leave and Remain votes, and a healthy mix of both. After a quiet 18 months, it feels like Tom Watson is firmly re-asserting the fact that Jeremy Corbyn is not the only party figure directly elected with a personal mandate from a large majority of Labour members. On Marr yesterday, Watson responded to the defection of 8 Labour MPs by announcing that if Corbyn fails to bring into his Shadow Cabinet more people from the ‘social democratic’ tradition of the party, then he will personally convene a group of such MPs to develop policy. It felt like a gauntlet being thrown down. Tonight, it might be picked up by the Labour leader himself. I’m told Corbyn is expected to address the Parliamentary Labour Party (PLP). Anti-semitism is one issue Corbyn has to grapple with (see below), but of course it’s Brexit that is worrying his party too. Watson followed up his Marr appearance with a blogpost yesterday in which he warned that if May doesn’t adopt Labour’s plans for close ties to the EU then Labour “should move towards a confirmatory ballot”. And if she doesn’t adopt that plan, “I am likely to be at the rally for a People’s Vote on March 23rd”. The confirmatory ballot is an idea that is set to be tested this Wednesday with the Peter Kyle-Phil Wilson amendment, which endorses May’s deal but only on condition it is put to a further referendum. John McDonnell told BBC Radio 5 Live he was working with Kyle and Wilson “to see can we have a re-draft of that amendment which people could vote for. I think there’s a high possibility we could.” However, there is a possibility that the Labour front bench won’t back the plan until it appears alongside May’s second meaningful vote on March 12. There remains the problem of course that Kyle-Wilson is non-binding, at least at present. Meanwhile, Tom Watson may be pleased that a Twitter poll by Corbyn supporter ‘RachelSwindon’ found 58% prefer him as deputy leader (his nearest rivals were Becky Long-Bailey and Chris Williamson on 15%). Anti-semitism was a driver for Luciana Berger and some others to quit Labour last week. That’s why Tom Watson sent a dossier of 50 complaints of abuse directly to Jeremy Corbyn, saying he needed to “take a personal lead” and make new recommendations to the ruling National Executive Committee. Watson said general secretary Jennie Formby had “very patently” been unsuccessful in dealing with the issue. We could find out today whether Lord Falconer will take on a new role as an anti-semitism ‘surveillance commissioner’ for the party. Watch this jaw-dropping example of how Donald Trump’s team have to deal with his daily failure to grasp basic facts. Makes Theresa May’s unfamiliarity with a pool cue pale in comparison. The Independent Group (TIG) of 11 MPs meet today and they may work out who their leader (or at least their lead spokesperson) should be. Chuka Umunna is the favourite, telling SkyNews yesterday: “I’m clear I want to play the biggest role in this group”. He added diplomatically “one of the things about the way we operate is the recognition that we’re all leaders.” Ex-Tory MP Sarah Wollaston told Westminster Hour: “I think we would all be very happy to see Chuka in that role, but we don’t know over the coming days and weeks whether others will join us and somebody else may emerge.” Shadow cabinet minister Barry Gardiner wasn’t too impressed: “The reason he wanted to leave the Labour Party was that he knew he could never lead the Labour Party. This is about personality.” I note that Ken Clarke told Radio 4 yesterday that ‘at the moment’ he wouldn’t be joining TIG. 5. OUR WAY OR THE HUAWEI? GCHQ director Jeremy Fleming is giving a rare speech in Singapore, setting out the ‘opportunities and threats’ of firms like Chinese telecoms giant Huawei. He’ll say governments will need help to decide “which parts of this expansion can be embraced, which need risk management, and which will always need a sovereign or allied solution”. MI6 chief Alex Younger raised questions about Huawei in December, but GCHQ’s National Cyber Security Centre last week suggested the risk could be managed. The challenge is a strategic one about Chinese global reach and power. Will America’s allies listen to Trump, or take another approach? 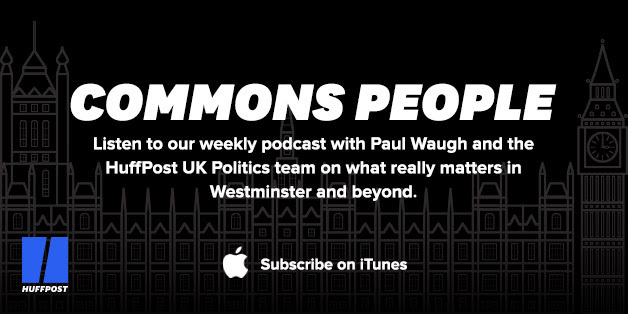 Our latest CommonsPeople podcast features former Labour MP Gavin Shuker. The key ‘fixer’ for the new Independent Group of MPs (he registered the legal vehicle for it in January), he reveals how he cooked chicken and chicory dinners at a secret getaway where the potential defectors first met to discuss their plans. (Stephen Bush and Caroline Wheeler’s excellent Sunday Times spread underlined just how crucial Shuker’s church pastor manner was in getting the project off the ground). See how Gavin fares in this week’s quiz too. Click HERE to listen on Audioboom. And below for iTunes.